HONDA’S annual sustainability report reveals that the firm’s mid-term plan for motorcycle environmental initiatives includes marketing “electric motorcycles that meet local needs” in both developed and emerging markets. The plan suggests that the firm will offer customers in Japan the opportunity to use electric bikes on a lease basis – hinting that the machines there will be higher-spec, technologically-advanced machines as part of an ongoing development process – and that Chinese customers will be able to buy electric Hondas. Presumably these will be simpler, more basic machines. The leasing idea has been tried before, with the EV Neo, which was lent to tiny numbers of Japanese customers (100 in total) starting in 2010, as well as 18 bikes that were used by Barcelona City Council for 12 months in 2011/2. However, the mention of the idea in the newly-released 2015 sustainability report seems to suggest the next project will be on a wider scale. The market for cheap electric scooters in China is already established, and Honda’s plan to enter it with its own offering won’t be on a lease basis. Nor is it likely to revolve around smaller numbers, since anything to do with the Chinese scooter market tends to involve astronomically large figures. Will we ever get an electric Honda in Europe? 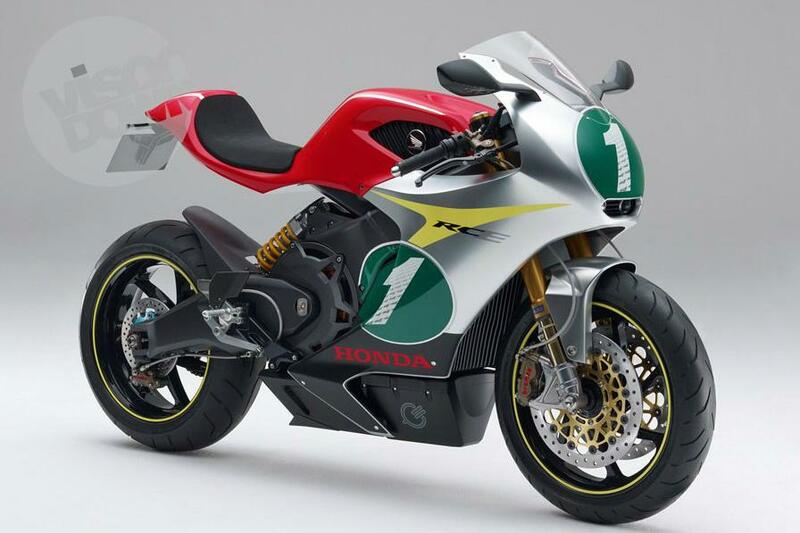 Well, if the firm decides to offer the RC-E concept, with suitably Mugen Shinden-esque performance, there would probably be quite a few takers.